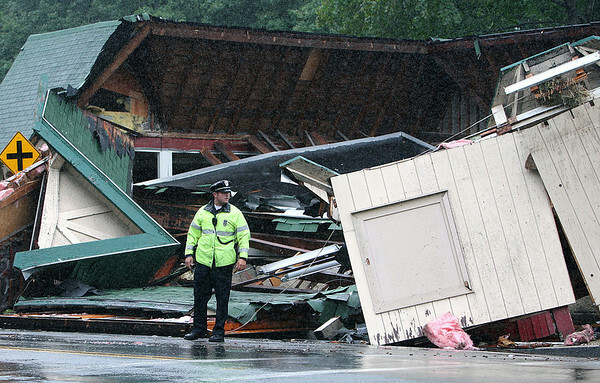 A Beverly police officer directs traffic outside a former convenience store that collapsed, leaving a pile of rubble, after torrential rains in August. The building at 157 Essex St. had been vacant since 2007. The rubble has been removed, and the owner plans to open a new store. Mark Lorenz/Staff photo. August 25, 2010.